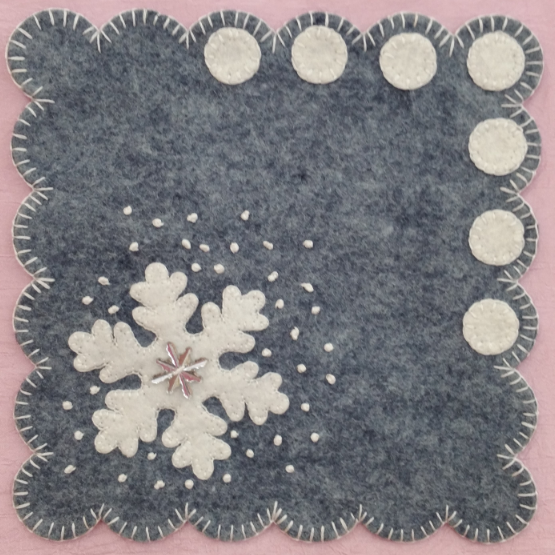 Wool Felt Die Cut Kit ready to stitch includes: Pre-cut Backing (Front) and Background, Pre-cut Pieces, DMC Floss, Needle, Embellishments and Stitch Guide. This is a kit, not a pattern. Finished size is approximately 7-1/2"